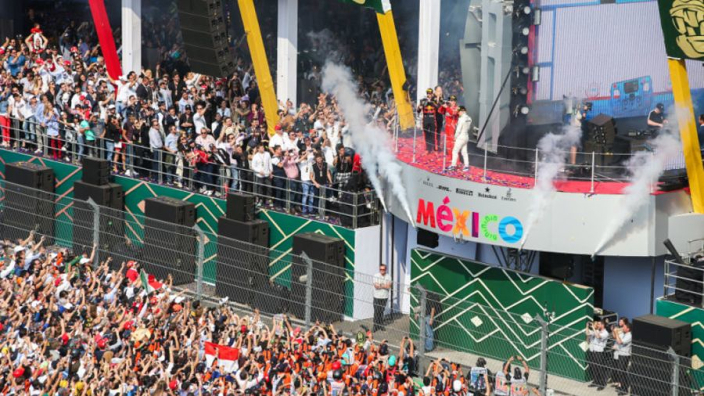 Max Verstappen is hoping to recreate the party atmosphere which surrounded the 2017 Mexican Grand Prix in which he emerged victorious last year, and believes that the track at the Autodromo Hermanos Rodriguez suits the Red Bull cars of himself and Daniel Ricciardo. The 2018 Formula 1 campaign has been one of ups and down for Verstappen, as he has on occasion looked impressive by gaining eight podium spots, only to find himself fifth in the driver rankings. The solitary win in 2018 so far came in Austria in July, and the Dutchman is hoping his next can come in Mexico City this weekend - so the party can get started! “I’m looking forward to getting back to Mexico as the circuit tends to suit our car better than others," Verstappen told verstappen.nl. “The atmosphere inside the stadium section is always good when you are out on track, but last year being on the podium it was next level. It turns into a party atmosphere pretty much as soon as the race is finished." Verstappen is hoping to indulge in the local cuisine and culture and Mexico as he hasn't had the chance in previous seasons due to the hectic schedule surrounding a GP. "I’m hoping to be back up there this year," The 21-year-old said of a podium position.